In a city that’s the destination of millions, it can be a challenge to find your way to its lovely, serene spaces. Away from the maddening crowds, the gardens of Paris offer the balm of flowers, tall old trees, fountains, sculptures, and the company of quiet Parisians taking the sun, relishing the peace. These places are often tucked away, off the beaten tourist track, and without a guide they’re easy to miss: The Jardin de l’Atlantique, out of sight on the roof of Gare Montparnasse. The enchanting Jardin de la Vallee Suisse, invisible from the street, accessible only if you know how to find the path. The Square Boucicaut, its children’s carousel hidden inside a grove of oak and maples. 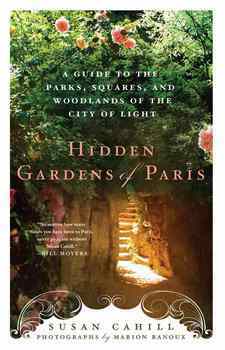 The Hidden Gardens of Paris features 40 such oases in quartiers both posh and plain, as well as dozens of others ”Nearby” to the featured green space. Beautifully rendered, the book is not only a useful guide, but a tribute to the gardens as sites of passionate cultural memory. 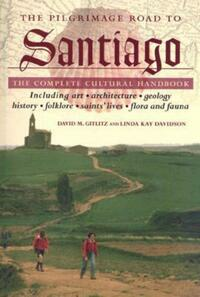 SUSAN CAHIL has published four travel books on Italy and Ireland. She is the editor of the bestselling Women and Fiction series and author of the novel "Earth Angels. "She spends a few months in Paris every year. MARION RANOUX, a native Parisian, is an experienced freelance photographer and translator into French of Czech literature. For the seasoned Parisian traveller or the novice looking to get off the beaten track Cahill provides a roadmap to parts of the city most visitors will never see.